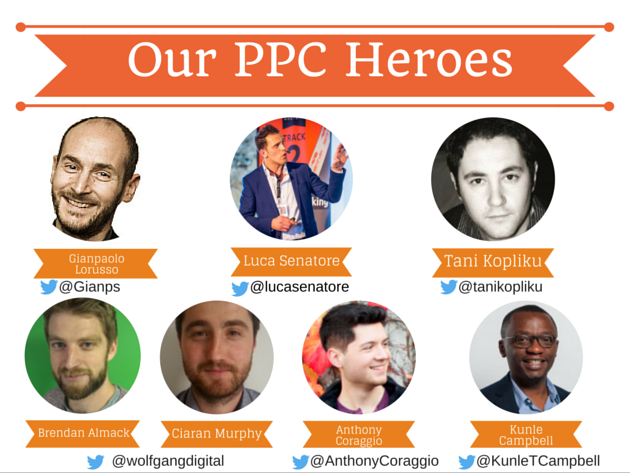 From Monday through Friday, we’re going to host a non-stop series of PPC webinars with some of the very best pay per click marketing experts. 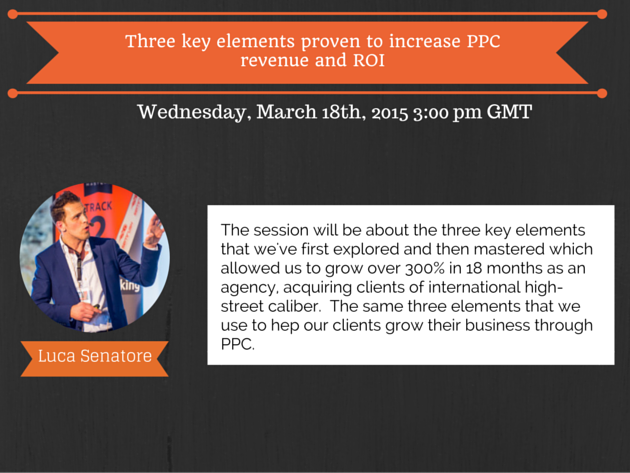 It’s a FREE educational week focused on the most powerful PPC techniques and strategies - the ones that really work. 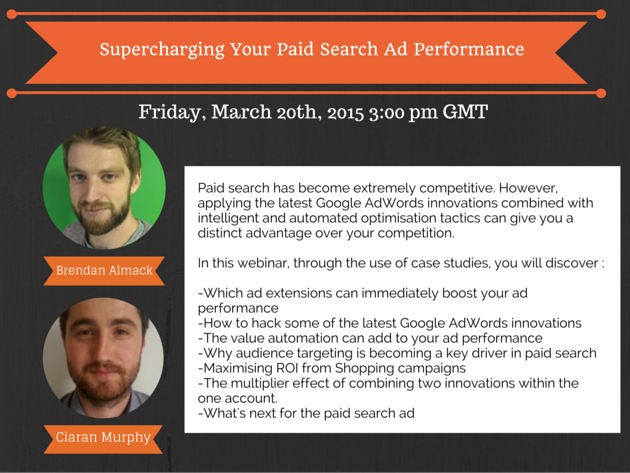 All webinars are perfectly fitted for both intermediate and advanced PPC specialists. Please note: we've created only one registration form, which provides access to all sessions and recorded webinars. The week will begin with a roundtable discussion with our speakers, including answers to live questions from our audience. 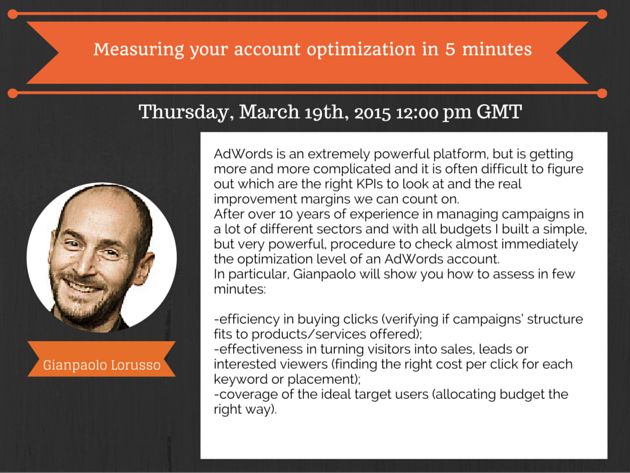 Don’t miss the chance to ask your question or share your expert opinion with others! 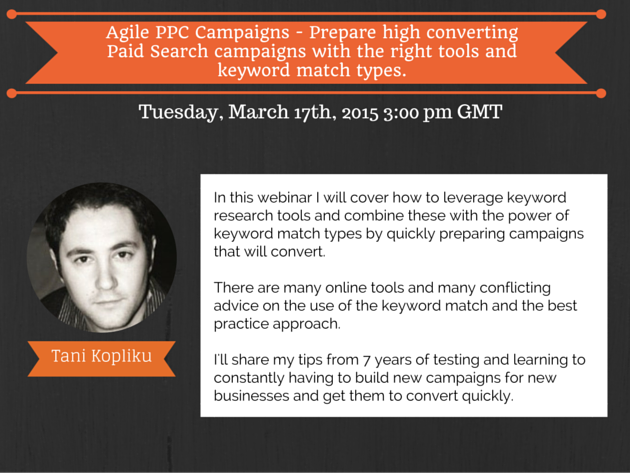 Tuesday, March 17th, 3:00 pm GMT-Agile PPC Campaigns - Prepare high converting Paid Search campaigns with the right tools and keyword match types.